With 35 km/h through the terrain? The Q39 Highlander is made for that. 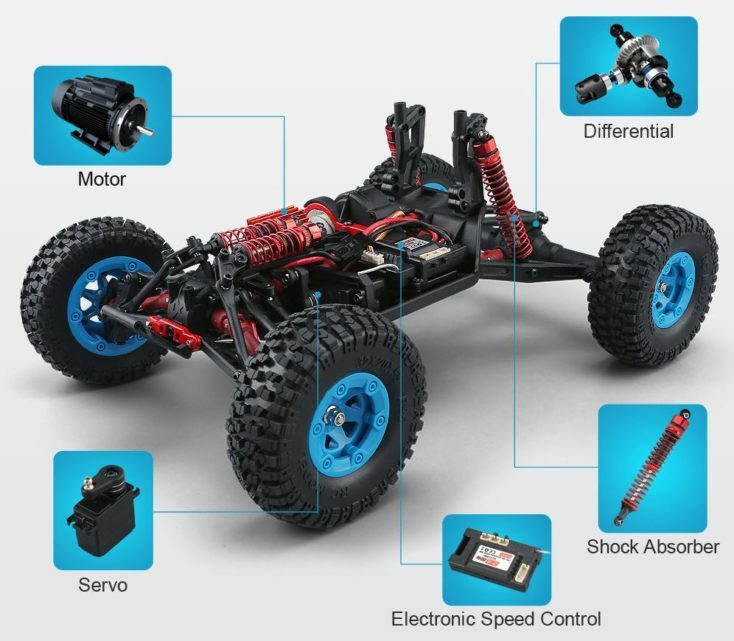 The remote controlled truck comes from JJRC, who have been known to us for a long time through countless other RC cars and drones. Since we were always satisfied with the last models of the manufacturer, we expect a good portion of driving fun from the Buggy. At first sight I was skeptical. The last (outwardly almost identical) buggy I tested turned out to be a mistake. However, the 6288A was also a budget model; the Q39 is with approx. $70 almost expensive for a remote controlled car from China. But: it can always be even more expensive, and for the price there is already a lot under the hood. The buggy weighs 1.3 kg – a proud weight spread over dimensions of 39 x 22 cm. At the highest point, the lights on the roof, it is 16 cm high. And at a top speed of 35 km/h (some shops speak of 40 km/h) you have to be a little more careful here; in a collision injuries are not excluded. 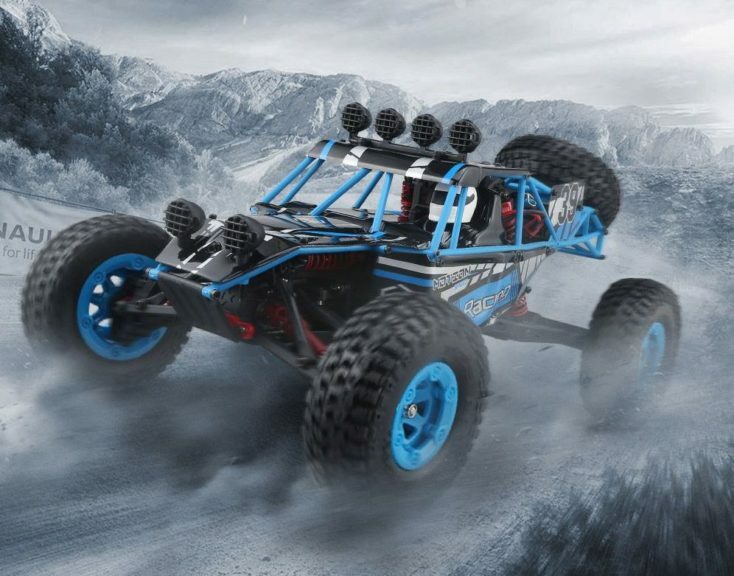 So drive carefully and off the road – where this off-road buggy belongs. What else is worth knowing? 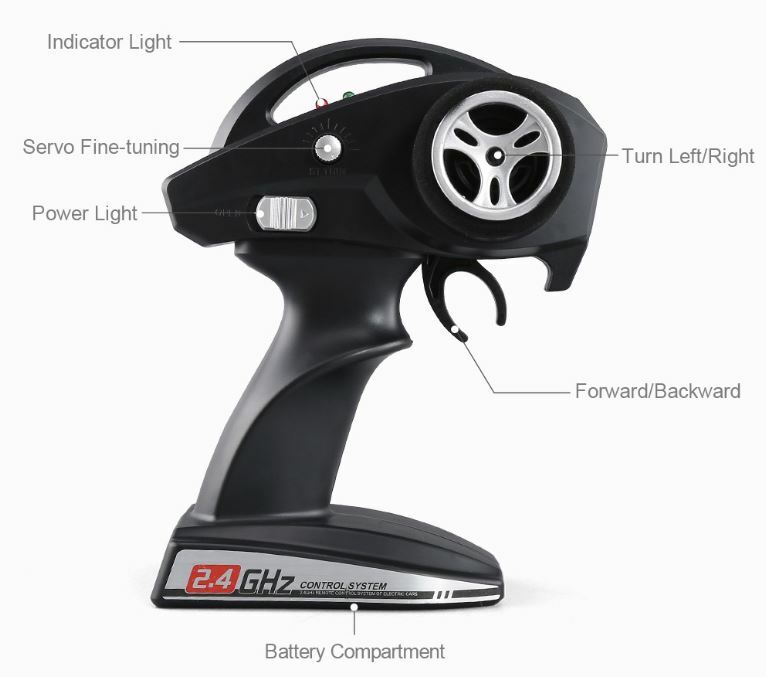 There is a 2.4 GHz remote control in the usual design. The trigger in the handle serves as a throttle, the wheel on the right side is used for steering. The control can still be corrected with a small knob. The range is given with 80 to 100 meters depending upon salesman. This way you lose sight of the car rather than breaking the connection. The battery is a 1500 mAh lithium battery. The driving time is a good 15 minutes or a little less, depending on how you drive. Charging takes two and a half hours. For the remote control you need three additional AA batteries, which are not included.